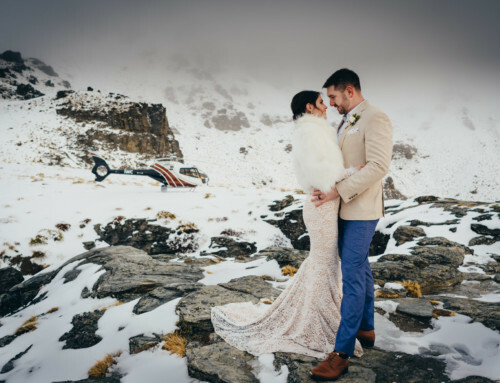 This Earnslaw Burn elopement is one of our favourite mountain weddings. Rain and mist on the day added to the magic of this place. 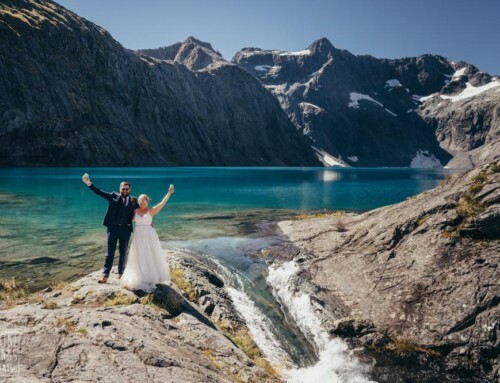 An elopement wedding on Earnslaw Burn will have you surrounded by cascading waterfalls with an overheard glacier. 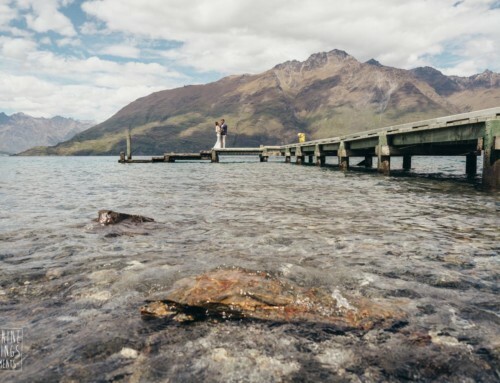 It’s ideal for Lord of the Rings fans as it was a location in the movie trilogy. 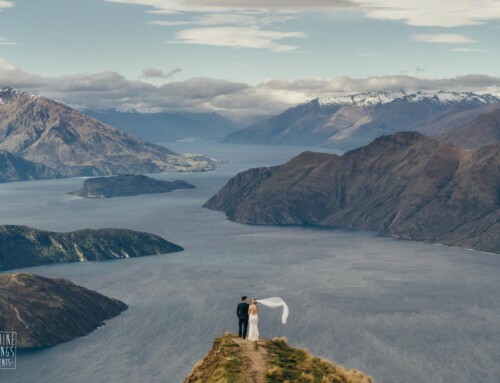 After the elopement mountain ceremony with celebrant Phillipa Cook the fun started. Our bride and groom embraced the weather by ditching the umbrellas and danced in the rain! Brooke and Tim booked our Dual Landing mountain package to Earnslaw Burn and Cecil Peak (diverted to The Humboldts due to weather). This includes planning and coordination, 4 hours photography, celebrant, bubbles, witnesses, transport and helicopter flights. They also added a hair, makeup and flower package.